Fishing is a great activity. In an area where fishing business is thriving, it is common to have lodging sites in such areas. 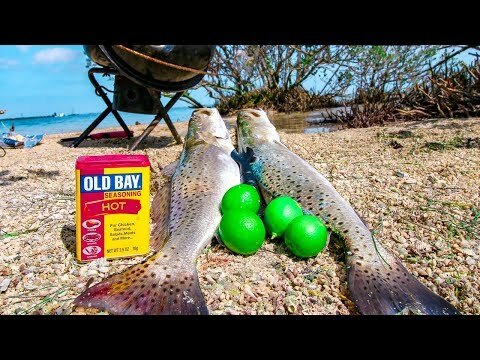 Fishing and camping can go on together. Once natural resources like water is available, related business should develop around such area. Camping makes fishing business thrive. Anglers come from different places and many people who engage in that activity consider it an expedition. You can fish and relax in your campsite for another round of fishing. Camp and lodging sites must take advantage of fishing location, as is the case of Alaska. Fishing can take several hours and this can entail sitting in the hot summer. You can stay in the middle of the lake for such an extended time. There is the need to rest awhile. You require a camp to rest. Fishing can make your camping trip more rewarding. Because of this, many people go to fish in areas where camping facilities are available. Fishing is accompanied by enjoyment and you can just relax and reflect on that enjoyment after fishing. Camping can facilitate your fishing activity. If you are, the types that use live bait. Then ensure that the bait you use is as fresh as possible. Because camping sites have developed around fishing areas, it is pretty easier to get such bait in a nearby location. Even in your camping backyard, you can easily dig up some worms, which is as fresh as anything is. This means that you do not need to bother yourself about purchasing one. If you want to fish and camp at the same time, you have to learn more about that fishing area. Find out if fishing licenses are required before you can fish. Because of that, secure a fishing license in the state that you want to fish and camp. Most importantly, find out about fishing rules and regulations that exist in the area you want to camp for your fishing activity. Before you get close to the water, it is important that you learn everything about the area you want to fish. Moreover, find out whether the fishing area you are camping is a catch and dispatch area. Several areas in the US are designated a catch and release while other areas are not designated such. The concern here is for conservation. When certain species are dwindling, fish and release policy is always adopted. Furthermore, the camping site should be a prime location. This means that it should be easy for you to get on the water for your prime catch. When the location is better, it will give you the chance of getting the type of fish you want to use. The place to camp depends on the type of fish you want to catch. This is because some fish are located in certain areas. Explore the type of fish available in an area and determine if it is the type of you want to catch. This can influence your camping choice. Accommodation choices are equally important. Different kinds of accommodation are available. Because of this consider the kind of amenities available and make your choice based on what is available.